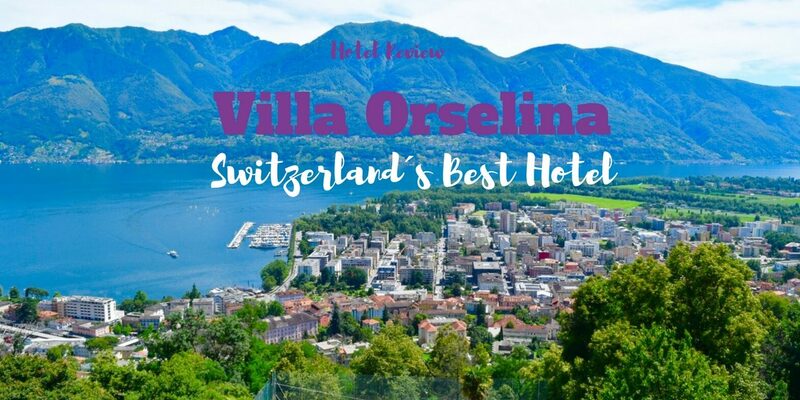 Villa Orselina was voted the best hotel in Switzerland and I can totally understand why. Before going into detail, I’d like to mention that I was wondering what to write about because I could just write: “Spa: perfect. Restaurant: perfect. Location: perfect. Everything is perfect,” but I decided to tell you about certain aspects that I really liked. 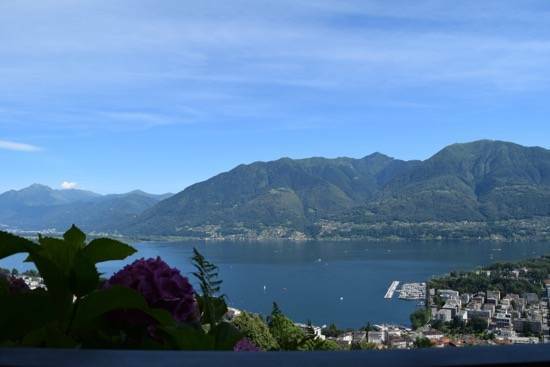 Villa Orselina is located in Locarno, Orselina, up on the mountain and gives you great views of the Alps, Lake Maggiore, Bellinzona, and Locarno. 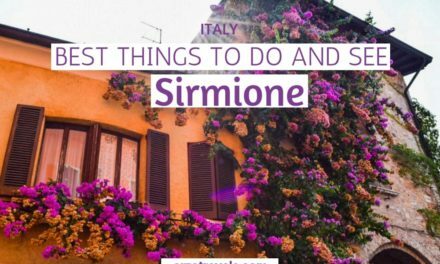 It is the Italian speaking part of Switzerland but all (most) staff spoke at least German, English, Italian, and probably French. 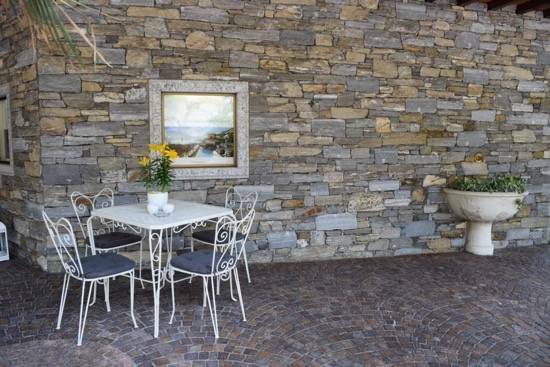 Villa Orselina is a member of “Small Luxury Hotels” and it is indeed small and very luxurious. 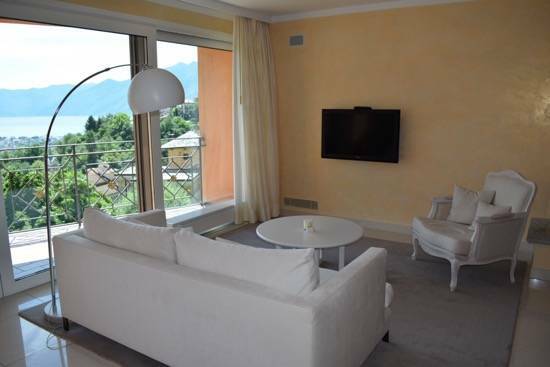 A small boutique hotel in Locarno which has stolen my heart within seconds. Villa Orselina is really away from the hustle and bustle and as I said in the beginning, it was voted the best hotel because of their outstanding service, the beautiful rooms, and great spa and overall, I can just say that it’s all true. The hotel is one of the best hotels I have stayed at and more important I have felt almost home (though I wish, haha) and it felt extremely good to stay there. The hotel looks nice from the outside but is not impressive but once you’re in you feel like you’re somewhere in the Mediterranean area. The friendly white interior makes you feel very welcomed. It’s a small place and not crowded, so the receptionist has enough time for you. However, the first thing I noticed when I was entering the hotel was the terrace with the amazing view. I had problems focusing not the receptionist as I just wanted to explore the hotel. The hotel has only 28 rooms and 14 of them are panorama suites. 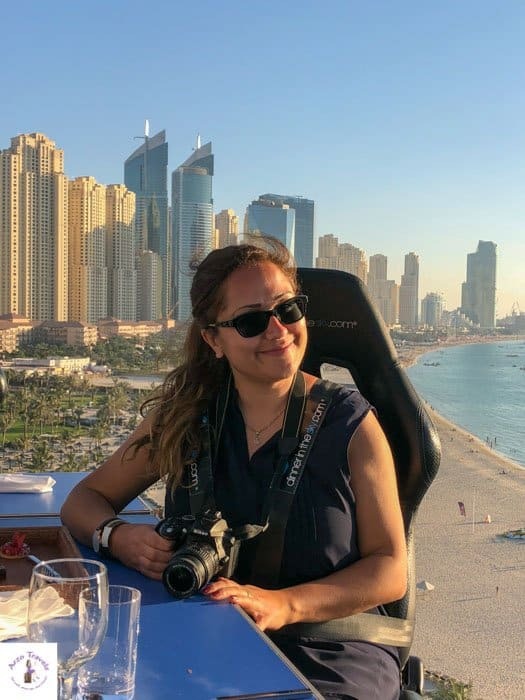 I stayed in one of those panorama suites as well which means I had a little kitchen with a dishwasher, fridge, sink, an espresso machine and tea maker, as well as a dining table, a living room and sleeping room. The minute I entered the room I was impressed by the simplicity and beauty. A lot of white, a little greyish and a little brownish but the room itself is very light and bright. Actually, I’d like to have my own apartment – if I settle for good – like this as well. 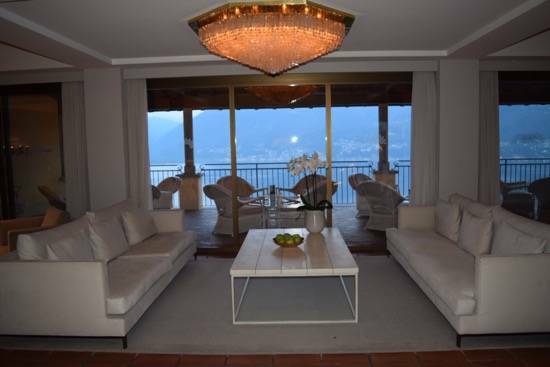 The balcony is quite big and my room, like all rooms at Villa Orselina, had a lake view. It’s not a small balcony that doesn’t allow you to move much, it was actually quite big. It’s really a place where I felt home and I wish I could have stayed there forever. They also have double rooms but if you have the budget I’d definitely recommend taking one of these suites, or even the presidential suite. The room itself was the highlight including the breathtaking views but another highlight was the bathroom. I had my own Jacuzzi which is shaped like a tub, but also a shower, and an additional toilet in a room by the entrance. 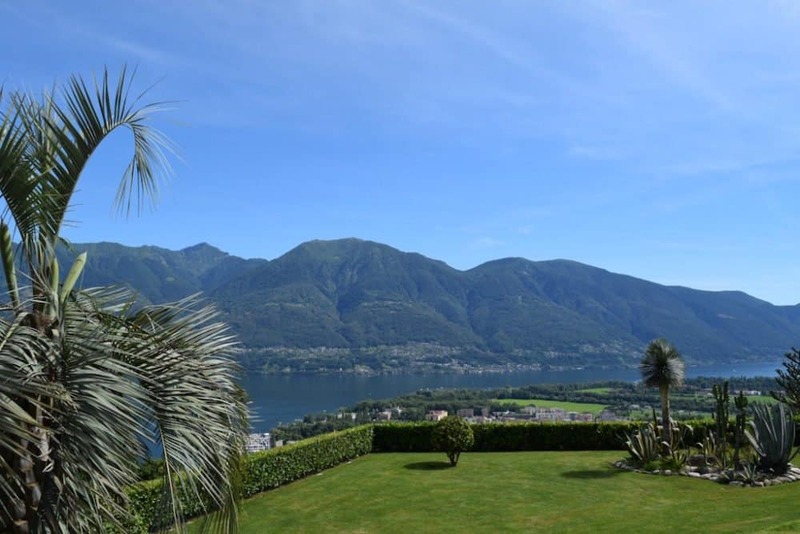 If you do not have anyone to bring you the stars down – Villa Orselina will. 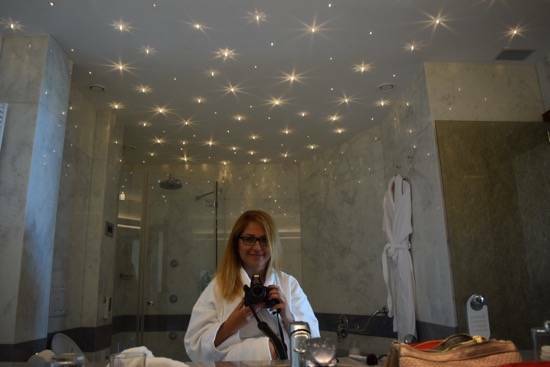 Without being cliché the bathroom really has a beautiful starry sky on the ceiling that you can switch on and off. Having a bath, while drinking tea and looking at the sky is just an extremely nice experience. 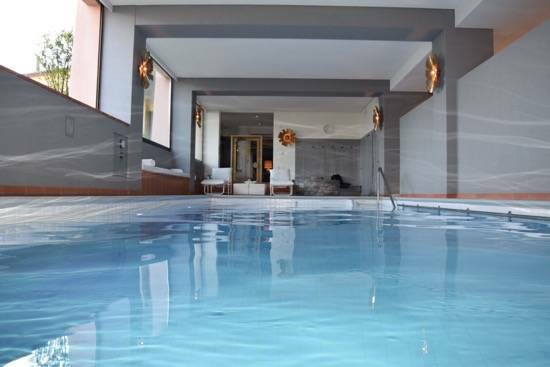 Villa Orselina has an indoor swimming pool where you have the spa/wellness area in general, a gym and sauna – which I didn’t use but I got a massage (read about it here). Isn´t it great to be on the treadmill and enjoying this view? You also have an outdoor pool with a little bar where you can order snacks and drinks. 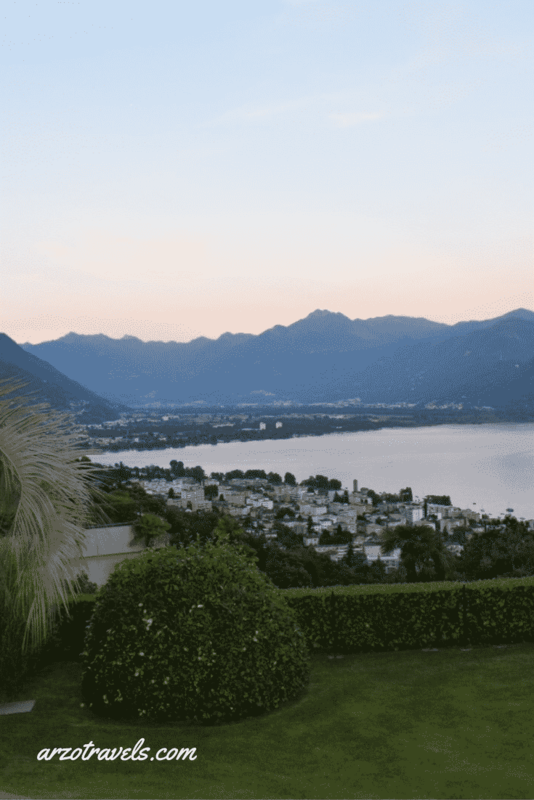 A pool with a view of Lake Maggiore – I could not have asked for more at that moment. 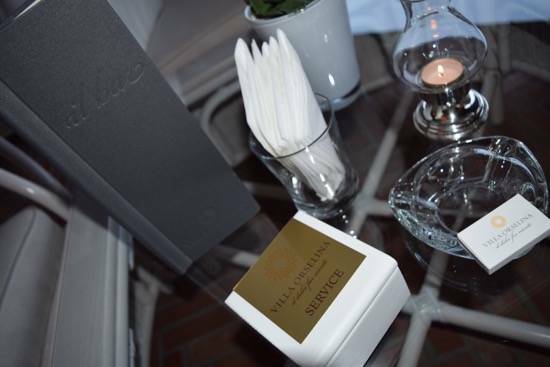 While exploring the part I also noticed some details making Villa Orselina so special: little bells in beautiful boxes where you can ask for the waiter so you don’t have to leave your place. The hotel itself has a restaurant and a bar where you can get drinks and snacks next to the lobby or at the terrace which also has a beautiful view. 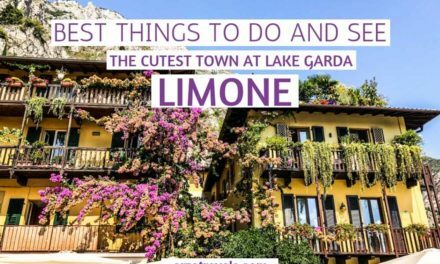 There’s also the restaurant, Il Restaurante of Small Luxury Hotel Villa Orselina (read about my experiences here) which offers awesome views of Lake Maggiore and extremely good food. Breakfast is also served at that above mentioned restaurant. 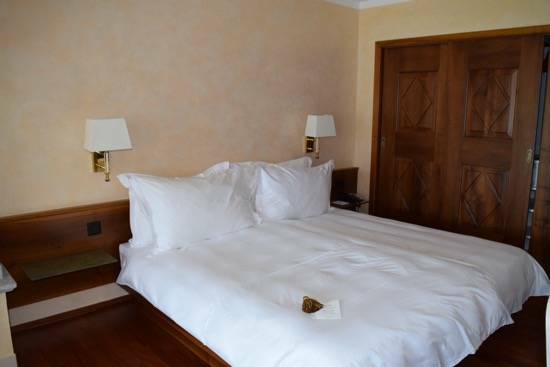 As stated before, the hotel doesn’t have many rooms and it’s not like you have thousands of choices but there is a very good amount of choices available for the small amount of rooms (there are also a lot of hearty and sweet choices available). The quality of the food, of course, is really good and here – again – the service is great. 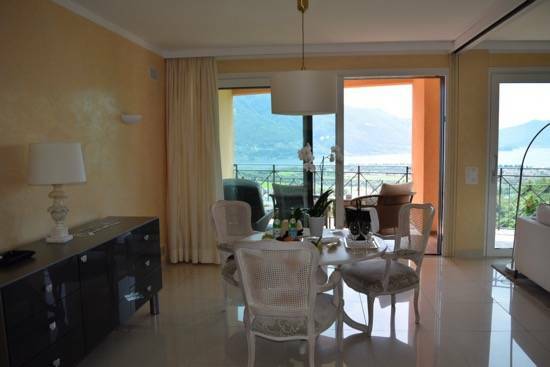 There’s a valet service (18€ a day), it’s dog-friendly (except, of course, the spa/wellness and pool area) and dogs actually get a Villa Orselina treat. 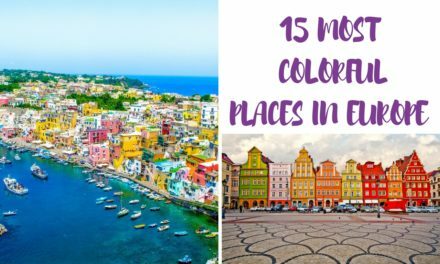 A hotel where everything was beyond perfect – my stay at Villa Orselina was seriously unforgettable and it has become one of my most favorite hotels ever. Every little – and huge – detail was gorgeous and I could not have asked for a better hotel in that location. The hotel convinces with simplicity whilst just being stunning. This is a place I would love to come back and I hope to make it back here. The restaurant and the spa (more about it here) completed the awesomeness – it’s only open from March until the end of October, so if you visit Locarno/Tessin around that time check out the website of the hotel here. Disclaimer: Villa Orselina invited me, but, as always all opinions are my own. You think my review was only positive because I was invited? I have had a lot of gorgeous hotel cooperations but can honestly say, it is one of the best hotels I have ever stayed at. What else to do in Interlaken? Read about my trip to Brienzer Rothorn, Niederhorn Mountain, and Sigriswil Suspension Bridge here.